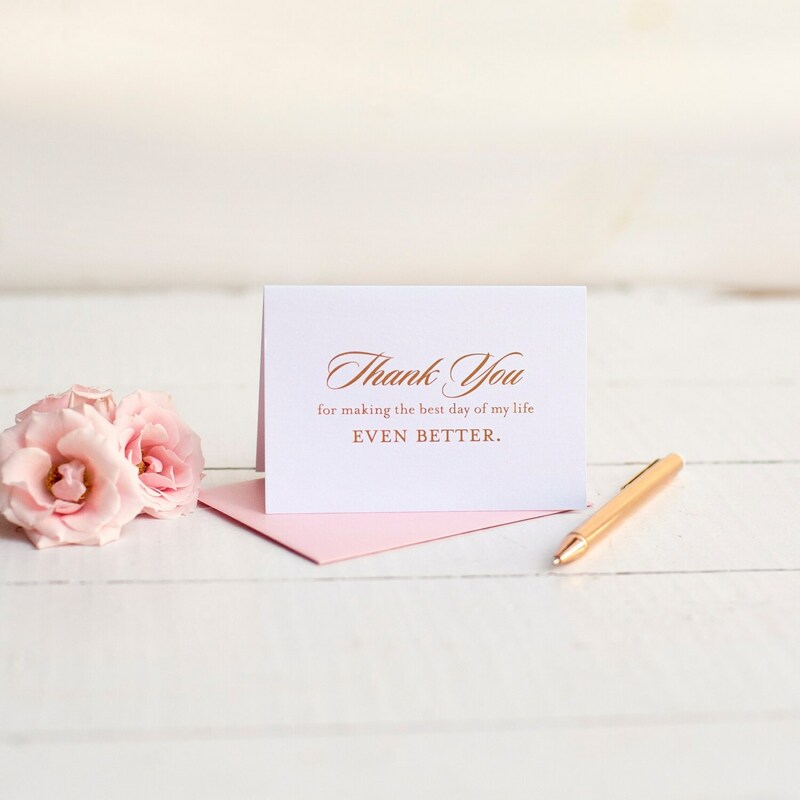 A beautiful wedding thank you card in rose gold foil, this card can be used to thank your attendants, parents, and other wedding helpers with classic style. 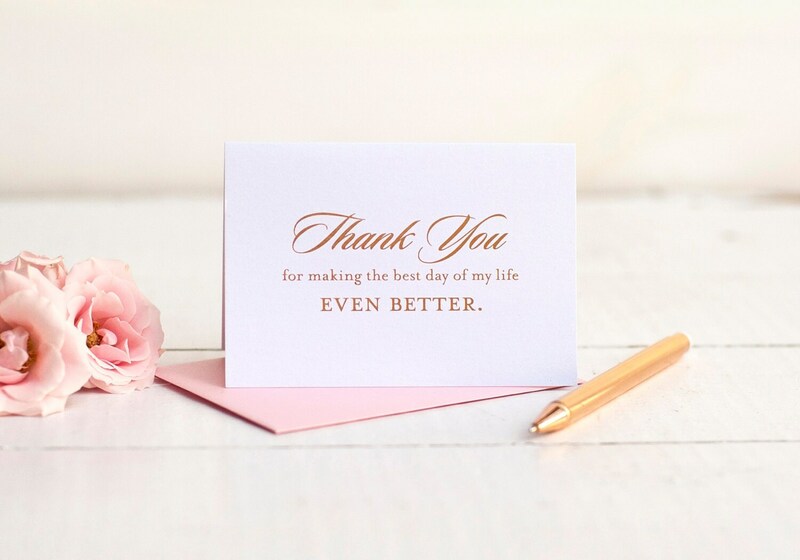 So many people helped make your wedding the Best Day Ever, so send them a note of thanks with beautiful foil stamping. 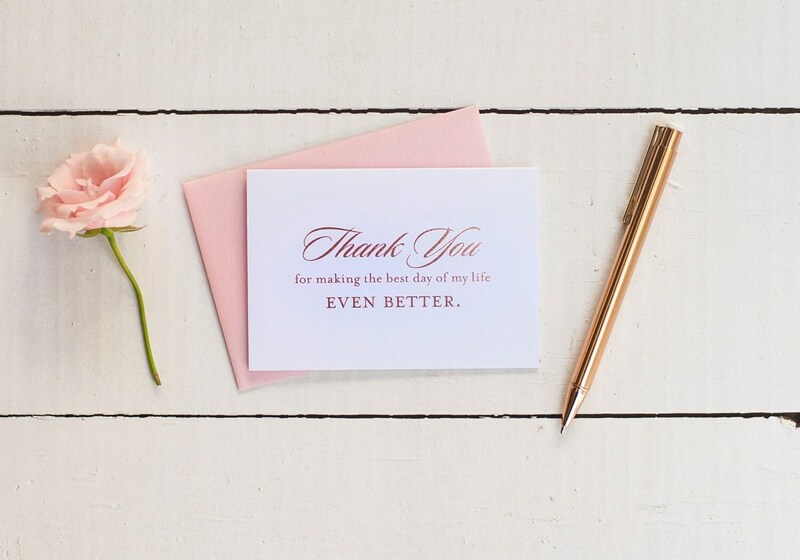 Our foil stamped thank you card measures a dainty 4.75x3.25"and is a folded style. 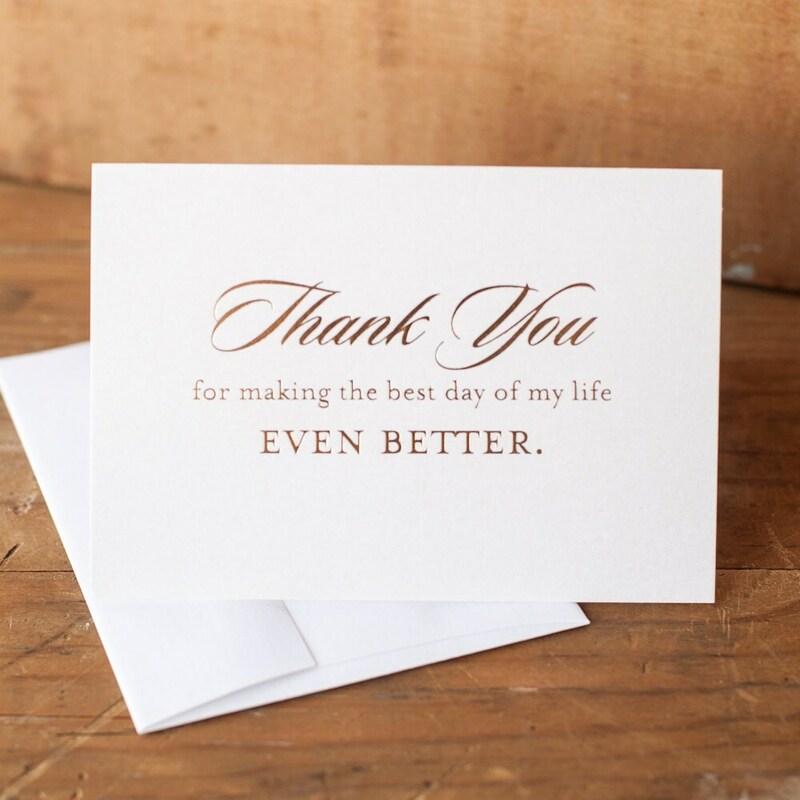 It comes in shimmering white pearl cardstock with authentically stamped gold foil writing in timeless script and fonts. These cards are authentically foil stamped, using a plate process to stamp into the card leaving a slight indentation where the foil is. No home craft foil or peeling foil here. Individual personalization and customization are not available due to the nature of this process. 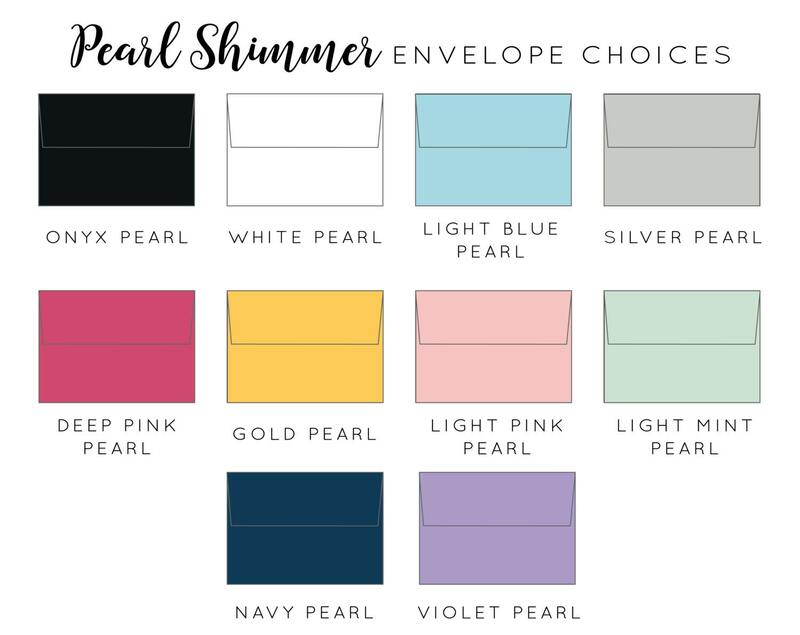 We carry this style in rose gold and classic gold (shown in photo 4) with your choice of 9 beautiful shimmer envelope colors to match your wedding theme. 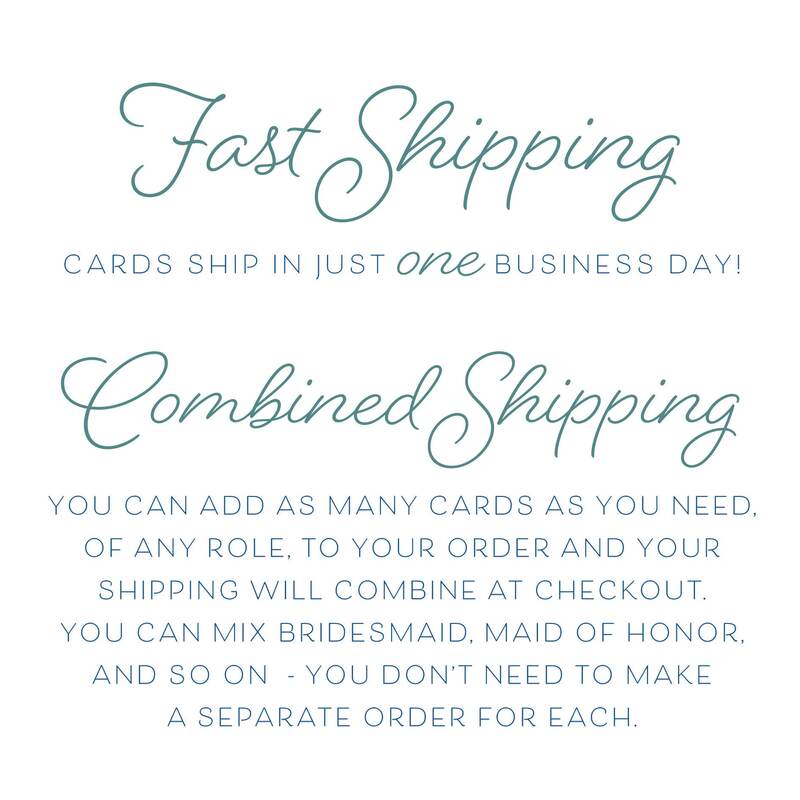 Cards are shipped flat to protect the foil imprint.